Inky Dream: Thank You Teacher Gift. 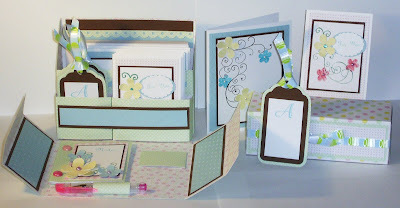 I saw this amazing stationary set tutorial on SplitCoast Stampers and it was love at first sight! I knew I wanted to make one. It's for my daughter's teacher, and I had a lot of fun with it. 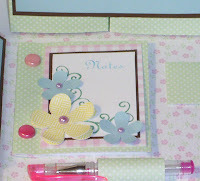 I went with soft, smoothing colors and designs as the rest of the class is so vibrant and hectic. 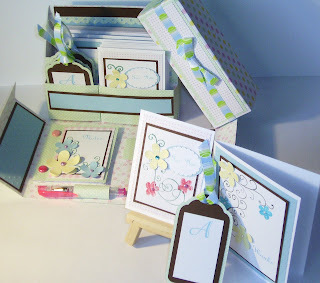 Included in the set are 6 Thank You cards with envelopes, 6 For You mini cards with envelopes, 6 tags (they have an A on them as that is teacher's initial. 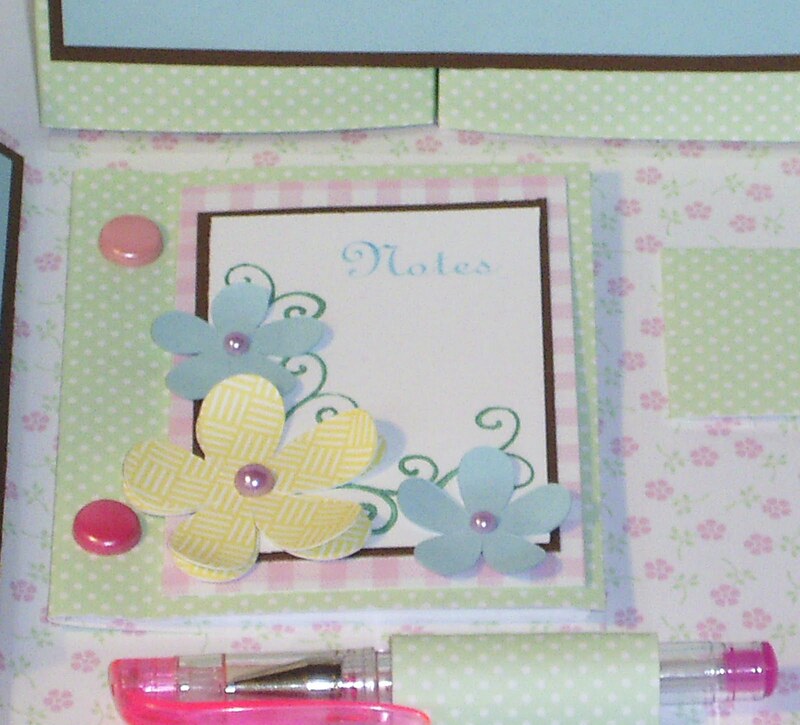 ), an attached Notes book, a pen with holder, and a spot to hold stamps. For 1 challenge, but it's a great challenge - Sir Stamp A Lot. "Punch It"
Oh my goodness Farrah, you certainly have spoiled that teacher, she will love this. Thanks for joining us at Sir Stampalot. Hi! This is a great set. I saw this on SCS and bookmarked the tutorial to try it myself, but just haven't gotten around to it. Great job with it, and thank you for becoming a follower of my blog! This is such a great gift! 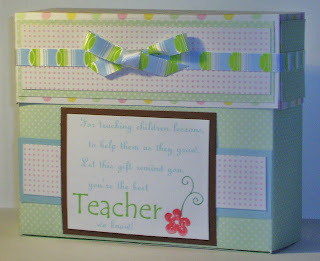 I am sure your daughter's teacher appreciated the soft colors!!! What a great gift! I will have to search that tutorial! I am always looking for handmade gift ideas! 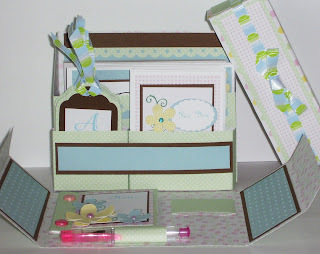 What a great stationery set and what a wonderful gift to receive. What a lucky teacher to receive such a fantastic gift! You musyt have spent absolutely ages making it, it is a wonderful project. Oh wow! This is fabulous Farrah. What a lucky teacher to get this gorgeous set. Thank you for entering it into the Sir Stampalot challenge this month. This is amazing, I love it. 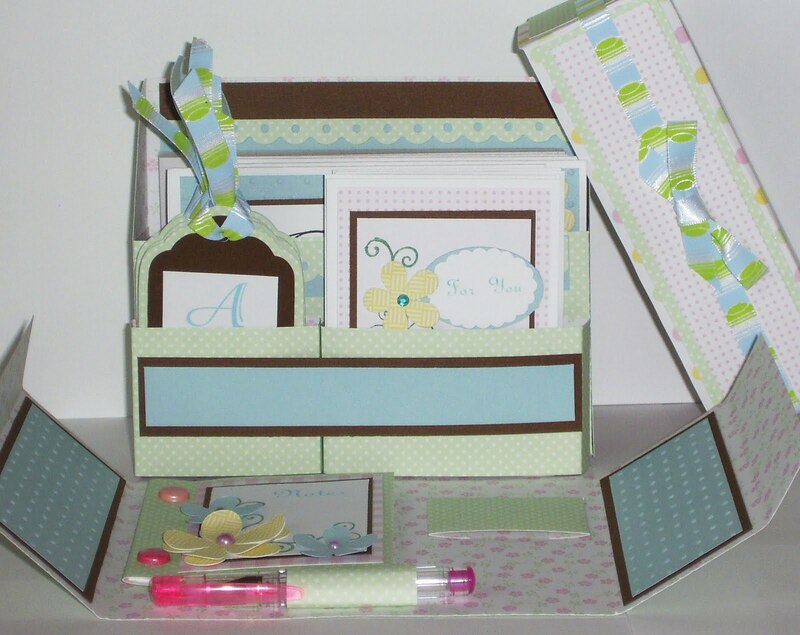 I love your choice of design and finishing touches, thanks for joining Sir Stampalot’s challenge, good luck. Wow! Stunning work! Such a pretty set! 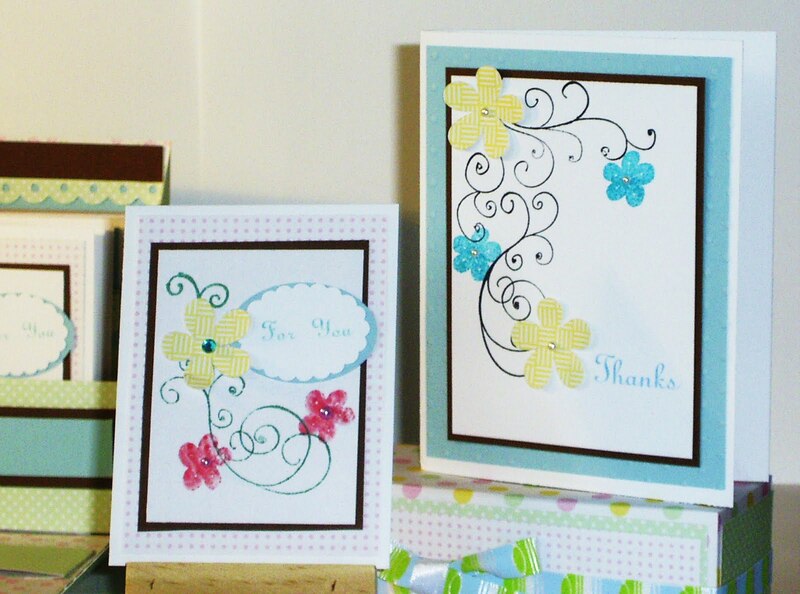 Thanks for sharing with us at Sir stampalot this month! Your creation is just so stunning. 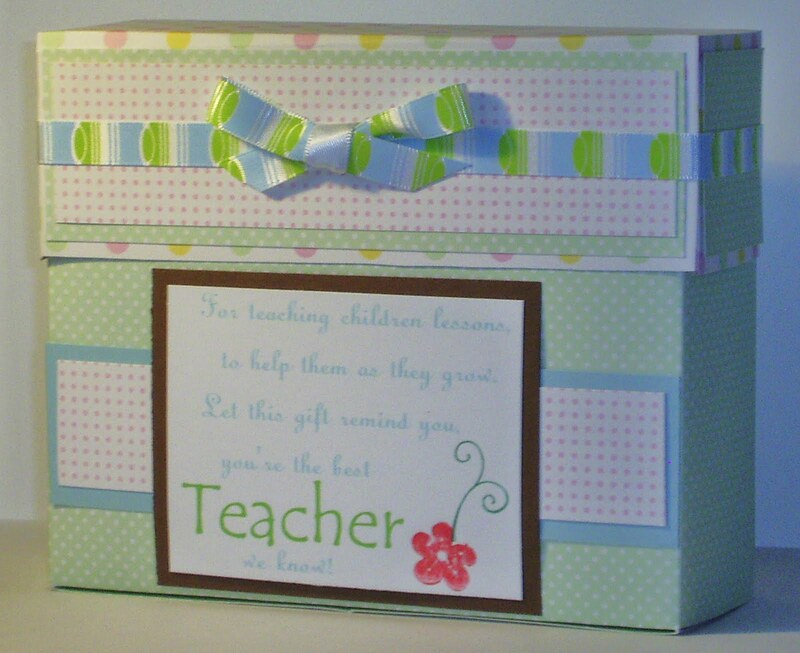 i'm a teacher myself and would be overmoon to recieve such a beautiful, thoughtful gift. Wow you've got a real talent and an eye for detail. This is absolutely fabulous! Looking forward to seeing more of your work! To the Power of Two.